Ok, so we recently walked through getting started building a Node.js Twitter bot and then actually putting together functions to make it work. When we left off you had a really cool Twitter bot that acts automatically. Hopefully you’ve added some functions or features that really make it your own. Problem is, it’s not much fun to have a Twitter bot that only works when your terminal is open. So now we’re going to take that awesome Twitter bot you made and deploy it to a cloud platform called Heroku. This will enable your bot to always be working in the background, and we’re going to do it for free. At this point, you should have a Twitter bot that works when you run it locally. If you haven’t already, go ahead and commit and push your most recent changes to your repository. $ git commit -m "some incredible commit message"
Go ahead and open your .gitignore file and remove its reference to config.js. While you don’t want your authentication credentials being easily accessible on GitHub, you will need this file to deploy your app to Heroku. 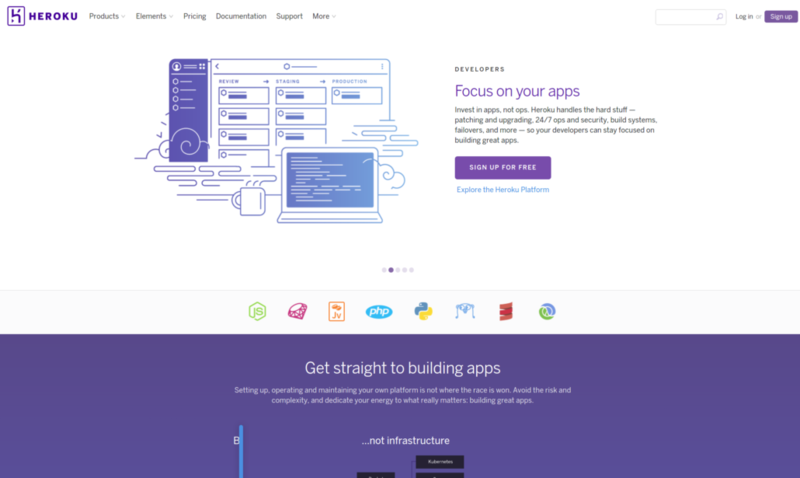 Now, of course, if you don’t already have a Heroku account, you can set one up for free here. Once you’re in and viewing your dashboard, create a new app, calling it whatever you like. Or leave it blank, and Heroku will come up with an interesting name for you. Back to your terminal, you’ll need to download the Heroku Command Line Interface (CLI) if you haven’t already. Note: You will need Ruby installed, as Heroku was originally designed for Ruby apps. There are a number of ways to do this, depending on what version you would like. $ git commit -am "add project files"
Hmm, something about that was different, though. Remember that we want our master branch on Heroku to include the config.js file, but we don’t want our master branch on GitHub to do so. So what we’re doing in that last command is to tell Heroku that our local branch ` is the master branch. Now technically, your Twitter bot has been deployed to Heroku. You’ll notice, however, that if you look at your app dashboard online after a few minutes, it may say your app is sleeping. This is because Heroku assumes that if you build an app in Node.js, it will be a web app with a front-end for users to look at. It then uses that assumption to decide what kind of dynos (Linux containers) it thinks you need. Go ahead and check out your awesome app! What kind of bot or app did you deploy? Feel free to share in the comments!